The notorious Angolan-Swiss fraudster, Jean-Claude Bastos de Morais, was remanded in custody in Angola last September to await trial on charges of embezzling billions of dollars from the country's Sovereign Wealth Fund. So why are the Angolan authorities allowing him to continue as the majority owner and head of the Banco Kwanza Investimentos, S.A.? And what on earth persuaded the Governor of Angola's central bank to bail out Bastos de Morais's failing 'investment' bank? Jean-Claude Bastos de Morais (JCBM) registered the BKI (initially under the name of Banco Kwanza Invest, S.A.) with himself as the majority owner with 85% of the stock and the remaining 15% registered in the name of Sérgio Ferreira Mata da Costa. This was a ruse to hide the real owner, the former BKI Chairman of the Board and Swiss national, Marcel Kruse, presumably to comply with a requirement for an Angolan partner. Marcel Kruse explained the sleight of hand to Maka Angola: "At the time the bank was founded, I was to be rewarded for my work in setting it up with 15% of the stock. However, they [Jean-Claude and his close friend José Filomeno dos Santos, a son of the former Angolan President] told me that the shares could not be registered in my name. So I nominated Sérgio, who is a relation." To ensure that he would not be cheated, Marcel Kruse had Sérgio, an electrician, sign both an irrevocable power of attorney and a promissory note in his favour. Although he has never taken any part in the BKI, Sérgio continues to be registered as the legal owner of 15% of the BKI stock to this day. "No-one was willing to help me regularize this situation, not even the bank", he told Maka Angola. "I repeatedly asked for the situation to be legalized, without success. I even offered to sell my shareholding - but the majority shareholder ([Jean-Claude] blocked it and said I could not sell to any third party. This has left me trapped in a stupid situation that I've wanted to escape for some considerable time". "I rarely receive the paperwork for these meetings, though sometimes I do get a balance sheet. There is very little information made available. The Chairman of the Board and the two executive administrators kept everything close to their chests." Kruse says that after Bastos de Morais was charged and remanded in custody, one of the three Board members, another Swiss national named Gerard Bessier, promptly returned to Switzerland, from where he sent a letter of resignation in December. That left just two Board executive administrators in charge: Adriano de Carvalho Júnior and Sandro Celso de Morais Miguel. 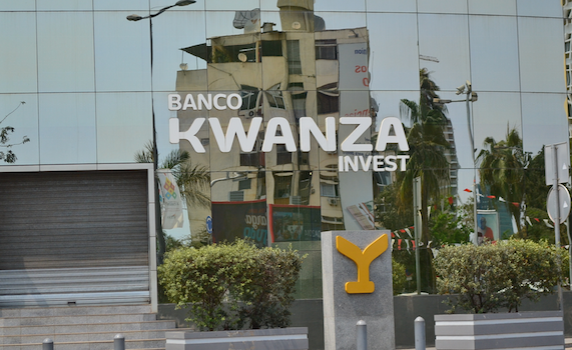 Last month the Angolan National Bank Governor, José de Lima Massano, sanctioned a five billion Kwanza bail-out for BKI, allowing the bank to re-capitalise using its own reserves and liquidity. Thus, JCBM transferred 4.8% of his shares to Adriano de Carvalho Júnior, who appears in the documentation as the BKI Board Chairman, even there is no record of the transaction in the BKI board minutes. The bank's only other partner, Marcel Kruse, expressed his absolute incredulity at this turn of events. "No-one knows how or why Adriano suddenly ended up with nearly 5% of the bank. Did this happen? I had no idea." Adriano de Carvalho Jr. told Maka Angola he obtained the 4.8% of BKI stock as "part of his remunerative package from Bastos de Morais". He said the stock transfer was "openly registered, and communicated and authorized by the BNA, in compliance with the regulations". However this was not exactly a straighforward purchase. De Carvalho Jr. admitted that the stock from JCBM was an "advance against the 'executive bonus' he was promised for his work over the next three financial reporting periods". Meanwhile, Kruse says: "I attended the last General Meeting, via Skype, when we agreed to seek to integrate the reserves to increase the bank's capital". "To do so, it was necessary to undergo an audit and one was conducted by Deloitte (Deloitte Touche Tohmatsu Ltd. - the multinational professional services firm). I did not receive a copy of their report even though I'm still a non-executive board member and administrator." It is illegal for the BKI to withhold such information from a shareholder and to prevent an administrator from carrying out his duties. Under Angolan law, notification of such an anomaly should trigger an investigation by the relevant judicial authorities and lead to the suspension (and eventual dismissal, if proven) of the person responsible. The BKI also had a duty to report the audit to the central bank. Was full and accurate information submitted? In the absence of verifiable proof of the existence of the BKI's reserves, it would have been unconscionable for José de Lima Massano to authorise a recapitalisation. Questioned by Maka Angola, Adriano de Carvalho Júnior said that as Chairman, he received and read the Deloitte report and that it confirmed the existence of capital reserves and results in transit which he said "taken together is sufficient and is in conformity with the legal requirements". Maka Angola's legal analyst, Rui Verde, gave his analysis of Marcel Kruse's concerns: "The truth is that we are talking about a fait accompli (the integration of the reserves into the bank's operating capital). Was the audit accurate and comprehensive? It's entirely possible that the organisation could have falsified the result... Perhaps the reserves don't actually exist, or perhaps they were already used. Just because they are registered on the balance sheet doesn't mean they actually exist." He cautions: "Where are these reserves actually kept? In bank deposits? In share certificates? Outside of the bank's physical location? In theory, the financial reserves may exist only on paper." A BANK WITHOUT ANY OTHER CLIENTS? There is a second worrying element to consider: Marcel Kruse says that the BKI's clients are almost exclusively made up of Jean-Claude Bastos de Morais's own companies and that 'JCBM' had ordered the bank not to engage other customers. The implication is that the BKI is yet another of those institutions set up by what we have come to call the 'Dos Santos Cartel' - family members and associates of the former Angolan President, José Eduardo dos Santos - to divert public funds to their own ends. The BKI is an investment bank which does not itself make loans. It simply acts as a mediator, offering its professional financial services to entrepreneurs seeking start-up capital. The actual funds come from the Angolan treasury. So, when one of the original BKI administrators reveals that the BKI's clients are mostly (or exclusively) companies set up by the BKI's majority shareholder, Jean-Claude Bastos de Morais, this is not just a flagrant conflict of interest. It arouses suspicion that the investment bank is merely a front for diverting Angolan public funds to JCBM and/or his associates. In short, the BKI stands accused of facilitating the embezzlement of public monies and money laundering. Ten days later, on February 3rd that year, Kijinga S.A., transferred the entire US $100 million to two other 'phantom' companies: US $88 million to Ulussu S.A. and the remaining US $12 million to Kabasa S.A.
As we reported at the time, all three companies, Kijinga S.A, Ulussu e Kabasa S.A. had all been set up on the same day, on December 4th, 2012, and all were registered at the same address: at Banco Kwanza Invest, 150 Avenida Comandante Gika, Luanda. In response, José Filomeno dos Santos, the head of the Sovereign Fund (in Portuguese, Fundo Soberano de Angola, FSDEA), clarified that Kijinga S.A was an FSDEA enterprise. He had no idea that Maka Angola had obtained evidence of the subsequent onward transfers made by his friend Jean-Claude Bastos de Morais to his own phantom companies, Ulussu and Kabasa. Add to those US $100 million, a further US $180 million that the FSDEA paid to another of JCBM's companies, Caioporto S.A., (as gazetted on January 30, 2017). This was yet another phantom company set up by Jean-Claude, ostensibly the company awarded the contract to build a gigantic state project a free port. JCBM registered Caioporto S.A. on October 16, 2011 listing himself as the owner of 99.9% of the stock, based at the BKI address. It defies belief that the Sovereign Fund was handing over US $180 million to obtain 50% of the stock of Caioporto, a shell company with no employees and with zero experience of building or operating a port, but which nonetheless was awarded the concession for the future Porto de Caio in Cabinda by the Sovereign Fund chief's father, the former President, José Eduardo dos Santos. Under the Dos Santos administration, state contracts and money flowed freely into the BKI. Take Presidential Decree No 25 of 2017, which awarded another of JCBM's BKI-registered shell companies, Vavita Power, S.A., a contract worth more than US $200 million to "build, operate and transmit power from a 100 Megawatt Thermo-Electric Dual-Power Station in Cabinda". Every one of these deals is suspect. Each one bears all the signs of embezzlement and money laundering by Politically-Exposed Persons who are, as we write, in custody and facing trial on charges of numerous financial crimes. And the BKI was instrumental in facilitating the diversion and laundering of hundreds of millions of US dollars. Surely at some point the auditors should have figured out what was going on? The BKI's own annual reports showed, e.g. that in 2015 and 2016 it made no loans, simply recording "advances to depositors". What else did it do? Nothing, apparently. The BKI apparently was surviving only thanks to the nominal value of call deposit accounts, real estate title and its foreign exchange operations. As for the BKI's liquid capital, 25% of the monies deposited with it come from the Angolan Risk Capital Fund (Fundo Activo de Capital de Risco Angolano, FACRA) - the state body set up by Dos Santos which of all the banks available, chose BKI as the repository for its funds, which also came from the Angolan Treasury. And who did Dos Santos appoint to manage FACRA? Jean-Claude Bastos de Morais. The record shows that the BKI invested the FACRA funds in its own subordinated bank bonds, which on maturity were transferred into a call deposit account, but with zero interest! When asked why the BKI has no other clients than Jean-Claude Bastos de Morais and his companies, De Carvalho Jr. sidestepped and declined to comment, citing the code of secrecy amongst banks not to divulge the identity of their clients. Instead he emphasised that "all banking activity in Angola is supervised and regulated by the Supervisory Organs to ensure they comply with the current norms and legislation". The Banco Nacional de Angola recently hit the headlines for having suspended the licences of two banks linked to the Dos Santos family: the Banco Postal, headed by Danilo dos Santos, and the Banco Mais, a subsidiary of the Financial Mais group used by José Filomeno dos Santos e another of his business partners, Jorge Pontes, to steal 500 million US dollars from the BNA. Frankly, it's a mystery as to why the BNA didn't close down a third bank, the BKI, over its repeated frauds. It must be as plain to the Governor as it is to the rest of the world that the BKI's sole activity was as a money-laundering vehicle for José Filomeno dos Santosand Jean-Claude Bastos de Morais who brazenly diverted public funds to their own companies with the knowledge and complicity of the former President. Maka Angola asked Adriano de Carvalho Jr. how the existence can be justified of a bank whose only activity is to launder money for a notorious fraudster? "The Bank categorically rejects that description of its activity and repeats that it is carefully monitored by the relevant authorities, namely, the Banco Nacional de Angola and the Financial Information Unit, who share the responsibility of ensuring that the operations of every financial institution operating in Angola are in compliance with the rules concerning money-laundering and the financing of terrorism, in accordance with the specific norms and procedures which all operators of the Angolan financial system, without exception, are obliged to respect and which the BKI has also adopted and scrupulously complies with."